What is closeout and why should I buy it? 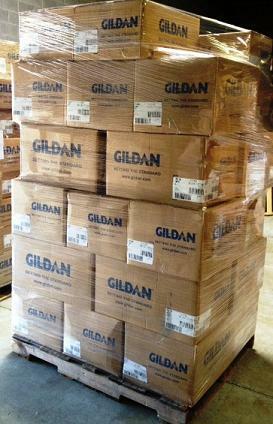 Many cheap t-shirt wholesalers offer closeout t-shirts to their customers at incredibly low prices. But what does that mean, and why are closeout t-shirts so inexpensive? When a t-shirt manufacturer decides to discontinue a color or even an entire product category, there is generally a large number of excess shirts left in the factories or warehouses that the mills are unable to sell. Just because the product has been discontinued doesn’t mean it’s undesirable– it may be that the color wasn’t selling well, or even that the company decided to slightly tweak the shade of the product. Either way, warehouses and factories are always looking for a large buyer, such as a t-shirt wholesaler, to come take the excess stock off their hands so they can speed up production. Plus, those shirts take up a lot of space, and factories are glad to get the product gone. When cheap t-shirt wholesalers buy up huge selections of closeout product, they are able to do to for cents on the dollar, and pass that savings along to their customers. But buying closeout goods for cheap means that you not only have a higher profit margin, but can better weather surges in cotton prices. Within the past few years, both China and Pakistan have been hit hard by sever weather that impacted those countries’ cotton crops– and, as most of the world’s cotton is grown in those two countries, there has been a recent upswing in the price of cotton. However, for cheap t-shirt wholesalers like the Adair Group, or for retailers who buy much of their stock from closeouts, prices on stock can remain lower due to those large profit margins created by sales of closeout goods.